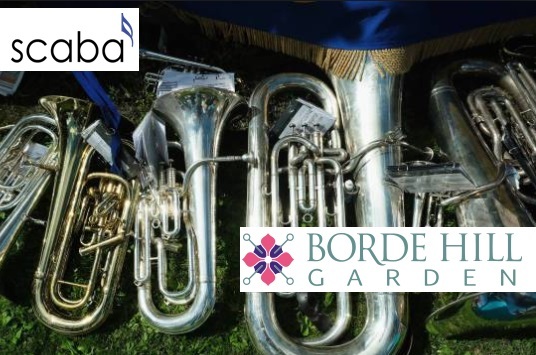 scaba recently launched a new project in support of local brass banding, the Southern Counties Youth Band (or SCYB) for young musicians in the south of England. The project is supported by leading conductors from brass bands around the area and staffed by scaba team members and volunteers from local brass bands. The band is open to all young players of brass band instruments and percussion who would like the opportunity to develop their performance skills by rehearsing and performing with other like-minded young musicians. The band rehearses at The Hawth in Crawley on a monthly basis, and will finish its first year with a residential course and concert during next year’s school Easter holidays in April. The band held its inaugural rehearsal on 14th September, which was attended by 22 young musicians. scaba President Norman Every and our team of 5 conductor/tutors were very pleasantly surprised that the 22 young players were such as to form an almost perfect band in terms of numbers and seating, and delighted that they gelled together so well as a band. The tutors were impressed with the band’s sight-reading and their response to each conductor, producing some good warm sounds and rising to the challenge of some quite difficult music. The future is bright for this very promising new band and everyone is looking forward to our next rehearsals on 19th October and 23rd November. The SCYB is always open to new members; anybody interested can download our information pack from the Schedules & Resources section of this website. This entry was posted in News, SCYB, Uncategorised. Bookmark the permalink.